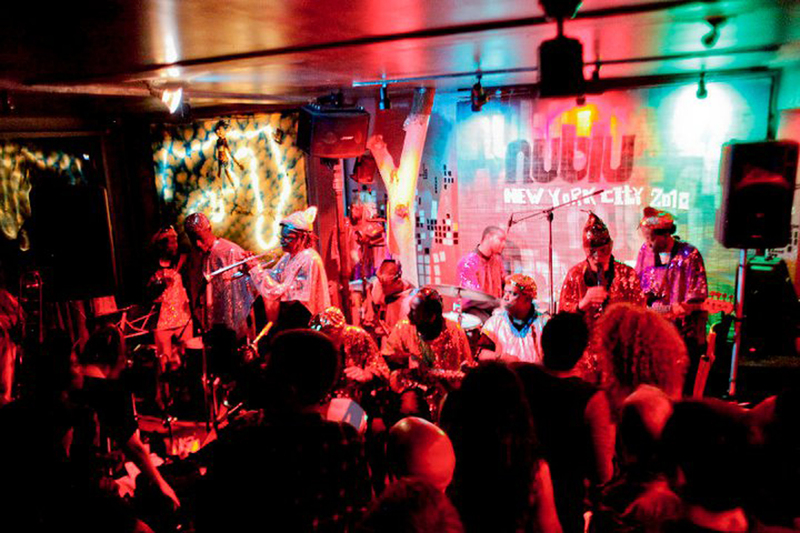 The best nightlife in the East Village isn’t confined to big dance clubs—much of the after-dark action takes place in lounges and small venues. Home to one of the city’s oldest nightspots (the venerable Webster Hall opened in 1886), the East Village offers plenty of late-night diversions. 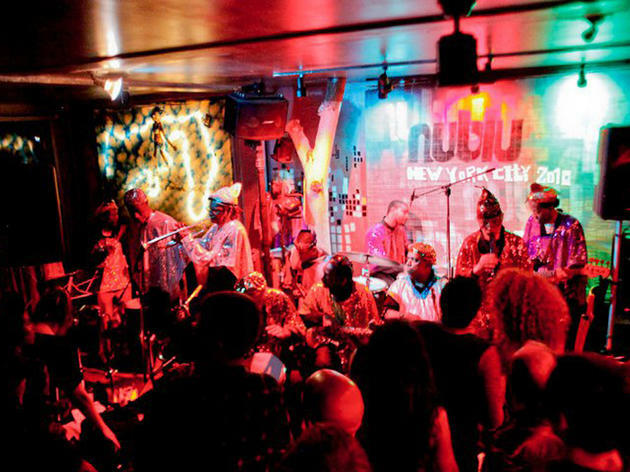 For the best nightlife in the neighborhood, look beyond the standard dance-club model to shindigs at lounges like Nowhere and Otto’s Shrunken Head—or accompany cocktails with comedy or cabaret at Joe’s Pub. 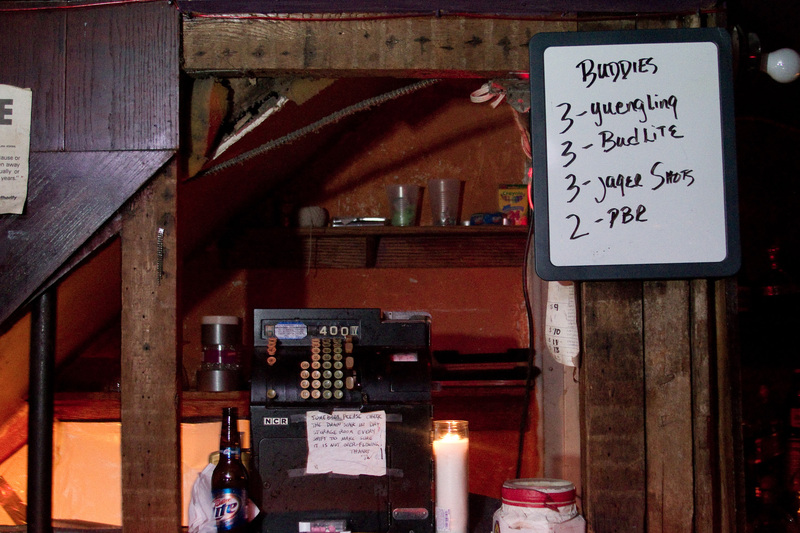 Start (or end) your night at one of the area’s best bars. 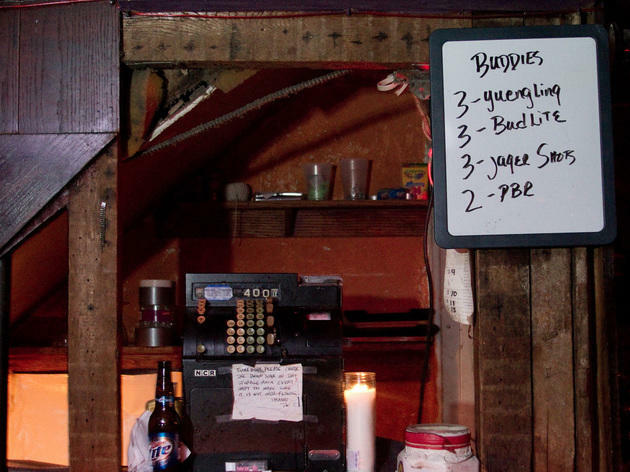 A friendly, spacious bar, Nowhere attracts attitude-free crowds—and the place is filled with everyone from dykes to bears, thanks to a fun lineup of theme nights. The pool table’s also a big draw. First-timers at this remote Alphabet City outpost will have to ask the smokers outside if they’ve come to the right place: Only a blue light marks the spot. Inside, a European crowd settles in for the equally Euro beer selection and for the offbeat jazz and avant-garde acts like owner Ilhan Ersahin’s Wax Poetic. Excellent live Brazilian music and dancing are the draw on Wednesday nights. In summer, an exceedingly pleasant backyard garden eases the pressure on the small space. It’s not easy to fool around when two gold Buddhas are staring at you, but the owner of Sutra wants to put you in the mood. Ariel Palitz has revamped the Flat as a sultry playground where you’re seduced with incense and warm amber lighting. A downstairs cave is preserved as an old Turkish gentlemen’s club, and an upstairs bar and billiards room is lined with red velvet banquettes and bordello-style lamps. You can nibble on chocolate-covered strawberries and sip concoctions like the Sutra Martini, with vodka, vermouth and crème de cassis. Pace yourself, though: Lines for the bathroom might be long, as Palitz has papered the walls with pictures of Kama Sutra positions. 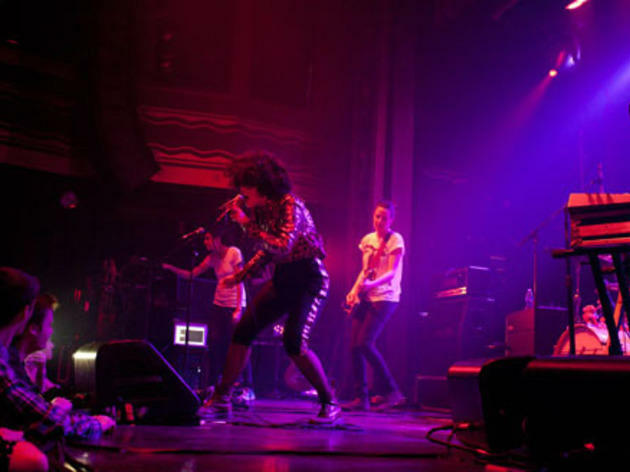 A great-sounding alternative for bands (and fans) who’ve had their fill of the comparably sized Irving Plaza, Webster Hall is booked by Bowery Presents, the folks who run Bowery Ballroom and Mercury Lounge. Expect to find high-caliber indie acts (Animal Collective, Battles, the Gossip), but be sure to show up early if you want a decent view.